If your application is selected at this stage you will then be invited to an oral interview with one or two Mila professors via Skype or Google-Hangout. We will notify the accepted applicants in February. If the applicant was not selected they will be notified in March. After being accepted through Mila admission process, students must register with the department of their supervisor. 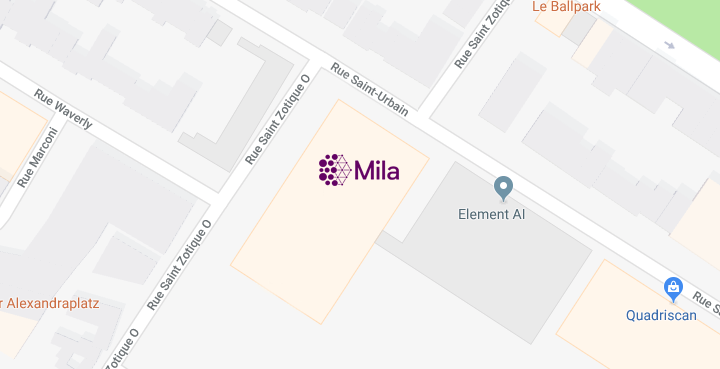 Refer to the next section only if you were accepted at Mila with a supervisor who is a faculty of University of Montreal. Once you have been accepted at Mila, if your professor is a faculty of University of Montreal, you have to officially apply for admission in the Computer Science Ph.D. program within the University of Montreal Computer Science Department (Département d’Informatique et recherche Opérationnelle). Submit your application , PhD program: 317510. Complete your part of this short form and sign it, scan it and email it to recruitment.at.mila AT gmail (dot) com and to the Mila professor who accepted to be your primary adviser. He will complete the rest of the form and give it to the department administration to have it deposited in your admission file. Your adviser will also need to send to the department administration an acceptance letter stating that he agrees to supervise you during your PhD program. Start the student permit / visa process as soon as possible (as it takes time to complete). An essential document for this process will be your official admission letter from the University of Montreal (that will be sent to you once the admission decision has been officially pronounced by the administration). Another important document will be a proof of sufficient funds. For this your adviser will have to send you a letter to attest that he will be supervising you and specifying your yearly funding.